Dee Debardeleben's practice focuses on civil litigation with emphasis on professional negligence, transportation litigation, premises liability, construction litigation, commercial litigation, real estate litigation, products liability, collection and catastrophic injury. 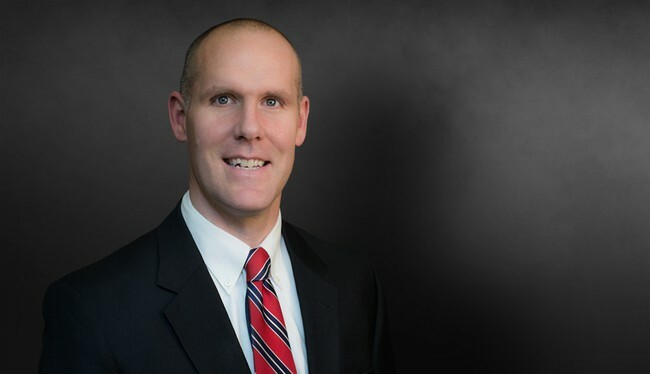 He has litigated and resolved cases and advised clients in several states in suits involving serious injury, wrongful death, and permanent disability and commercial disputes involving, among other things, engineering and architectural services, management services and construction in Alabama, California, Florida, Georgia, Nevada, Texas and South Carolina. Defense verdict for a hospital in a wrongful death case alleging failure to monitor. Plaintiff sought more than $1 million from the jury. Defense verdict for pulmonologist, in retried case, after the initial trial was hung 11-1 in client’s favor. The matter involved a mother who died post-partum in the ICU. Plaintiffs sought more than $5 million from the jury. Defense verdict for otolaryngologist who nicked an eye muscle during sinus surgery, rendering one of plaintiff’s eyes useless. Damages sought in that matter were well over $1 million. Defense verdict for gastroenterologist who allegedly failed to diagnose prostate cancer and the plaintiff eventually died of metastatic cancer. Damages sought in that matter were well over $1 million. Defense verdict for OB/GYN who ruptured Plaintiff's small bowel during a D&C procedure, which caused septic shock and ultimately death, after a month long stay in the ICU. Plaintiff sought $2 million from the jury. Successfully defended a bus company and the driver in a case where the bus driver nearly crushed a fireman after the bus mistakenly entered a parade route. Plaintiff sought several million dollars and received a $500,000 verdict. Obtained favorable settlement in a fetal death case for an OB/GYN after a hung jury trial. Defense verdict for an orthopaedist who allegedly nicked a woman’s small bowel during back surgery causing her to nearly die and to spend 29 days in the ICU as a result of the infection. Damages sought were well over $1 million. Defense verdict for an orthopaedist who allegedly failed to diagnose an infection in an elbow, which caused an adolescent a long stay in the ICU and three subsequent surgeries. Damages sought were well over a million dollars. Won summary judgment motion for an orthopaedist in a surgical burn case. Won summary judgment motion as a plaintiff grading subcontractor against the contractor for failure to pay invoices over a disputed pay-when-paid clause. Won summary judgment motion on behalf of a car dealership on an alleged fraud case. Won summary judgment motion on behalf of a car dealership on a breach of contract case. Obtained favorable settlement in a subrogation action for significantly less than the plaintiff had been seeking. Assisted in the successful defense of one of the world’s largest engineering and design firms in arbitration brought by design-build contractor concerning construction of the largest state-funded construction project in South Carolina history. Assisted in the successful defense of a pharmaceutical manufacturer in litigation arising out of a professionally labeled OTC product. Successfully resolved multiple premises liability cases involving personal injury and wrongful death. Successfully resolved multiple commercial lease disputes for both landlords and tenants. Successfully helped hotelier clients collect on judgments based upon franchisee agreements. Has contributed to several publications concerning Georgia lien law, premises liability and federal preemption of medical devices.